Returner Madi Hawkins has improved over the course of the season. Sports are an important part of high school life. They teach commitment, promote exercise and are an all-around fun activity to share with a group of friends. Virtually every high school has a football, basketball, and volleyball team, but Capital High School has something different as well – a girl’s bowling team. In only their second year, the team had a large turnout of thirty girls, triple that of last year. In fact, Capital has the largest team in their league. The size has been a challenge for them, however. “There’s definitely a difference between ten girls and thirty girls,” explains Coach Mike Deakins. He had worries about his ability to coach and train each athlete individually. But the team has proven that they can overcome the large size. There has been widespread improvement, across the board. Seeing their scores improve over the course of the season helped boost team morale and showed them that all of their hard work really was paying off. “I started off badly. 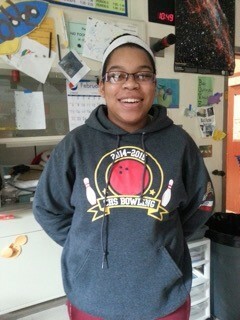 I hadn’t really bowled before, but it was really cool to see my scores go up,” varsity bowler Nala Bernard says. 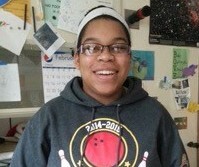 “It gave me a lot of confidence.” Her highlight of the season was a practice over winter break where she bowled her highest score of 171. Much of the improvement comes from hard work done at practice. The team bowls daily at local Westside Lanes. “They’ve been really gracious,” says Deakins. Even with the large team this year, the bowling alley supplied them with enough lanes to practice and to host tournaments. Despite all the hard work it takes, the athletes enjoy practice. “You can be super tired, but when you bowl a super good day you just get pumped for the next day and next match,” explains Bernard. Nala Bernard enjoys being part of the team and bowling for Capital. Besides individual successes, the team bond has also been a major highlight for the girls. They’ve made several fun cheers to support each other during tournaments. “The atmosphere is great. I’ve made a lot of friends,” says Hawkins. 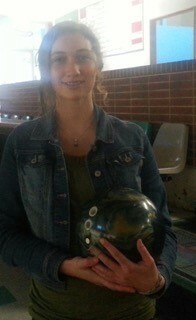 The varsity team went to 3A Narrows League competition and surprisingly, bowling is quite popular within our region. In their league alone, there are eight teams. “It’s pretty big in the state of Washington,” explains Deakins. “It’s surprising because so many people seem to have not heard of it.” Around the South Sound, it’s growing in popularity, with Tumwater, Olympia and North Thurston school districts all having teams in at least one of the high schools in their districts. Another highlight for Deakins was competing against Mt. Tahoma’s bowling team. “(They) were a high target, and we beat them one out of the two games we played them.” The team competed in tournaments around the South Sound over the season.